When it comes to representation of ethnic minority groups in cinema, Native Americans have always drawn the short end of the stick. Often portrayed as aggressive, animalistic savages, their near-extermination has been been glorified on the big screen for many years. But more discerning minds know better, and that's why films like "Songs My Brothers Taught Me" are so important. In this understated debut feature, Chloé Zhao turns our gaze towards an Indian Reservation for an honest, humane portrait of a quintessential American community. "Songs My Brothers Taught Me" follows a very different, but nevertheless very close brother-sister pair living on the Pine Ridge Indian Reservation in South Dakota. 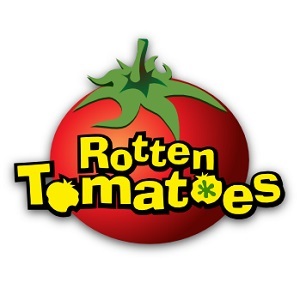 Johnny (John Reddy), the older brother, is a typical teenager with big city dreams, desperate to escape his small town with his beautiful college-bound girlfriend. His younger sister Jashaun (Jashaun St. John) however, is a happy camper, content to live the Lakota lifestyle with all its simplicity. Both find common ground in each other's company though, even as the world around them is starting to fall apart. One day, news arrives of their estranged father's death, which seems to mark the beginning of a change in the siblings' lives. Johnny's behavior becomes increasingly reckless ahead of an impending move to Los Angeles, while Jashaun begins to stray away from her family circle to strike up new friendships and interests. As they both head down potentially dangerous roads, their irreplaceable bond - and by extension, their heritage - may prove to be their ultimate saving grace. Starring a pair of unknowns from the same community being portrayed, "Songs My Brothers Taught Me" excels on its noticeable authenticity. With regards to that oft-used term "milieu", this film has that in spades, opening our eyes to a culture that has been sorely misrepresented. And with its lived-in performances and a rich, complex narrative, the film gives us a thoroughly fascinating "slice of life". 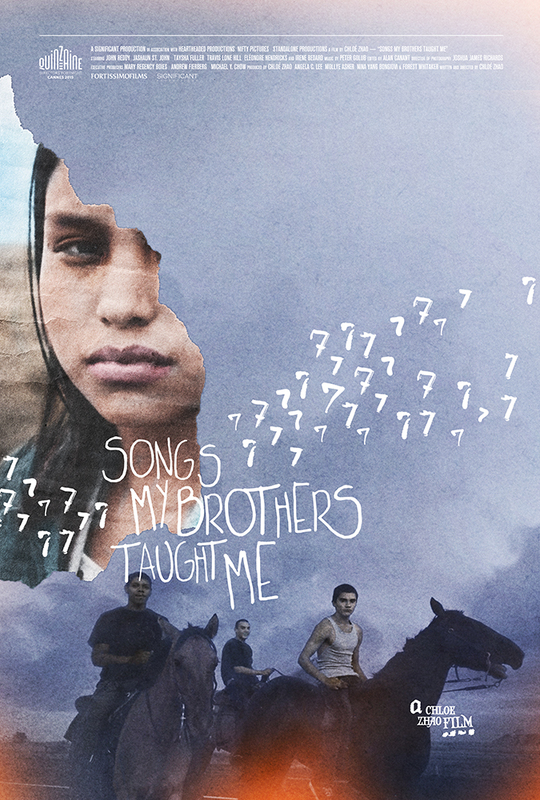 But what makes "Songs My Brothers Taught Me" standout is ironically its universality. Completely eliminating the sense of "otherness" that comes with portrayals of Native Americans on films, Zhao deftly uses cultural specifics to illuminate common concerns of family and identity shared by people of all backgrounds. Brilliantly refusing to over-explain the socio-cultural backstory or interrelationships, Zhao still paints a comprehensive picture of who these people are, where they are coming from and where they are going. From the Prohibition-esque restrictions on alcohol and the associated prevalence of alcoholism, to the almost polygamist lifestyle of some of the men, their culture is unmistakably distinct and yet their struggles are like those of countless other working class communities across America. Indeed, one of the central themes involves Johnny's search for the mythologized American dream as he looks westward, just like those frontiersmen who changed the face of the country forever. But as he seeks prosperity, he begins to realize a truth we all know - there's no place like home. And that idea of "home" is beautifully captured here through these incredibly empathetic characters. Much like Johnny, we're left yearning for Jashaun and everything she represents. Indeed, Zhao's script doesn't give us enough of her, but we're grateful just to have met her. This sounds extremely interesting. I'll have to check this one out. You are so right about Native Americans drawing the short end of the stick. It's shameful that you can't off the top of your head think of any Native American actor or actress with any sort of a real career. There are so few legitimate Native American stories being told it's ridiculous. For that reason alone I'm interested in this. Sadly, I haven't even heard of it before this post. I'll have to seek this one out. Great review.